There's something wonderful happening on the streets of Helsinki. Something unusual, beautiful and as unique as Finland itself. Lovingly handcrafted works of art are being sent out to skaters all over the world in little boxes destined for the flat track. I'm of course talking about Wikko Skates from Helsinki, Finland. If you're a European derby skater you probably have heard of these skate boots and may even know a skater who owns a pair. 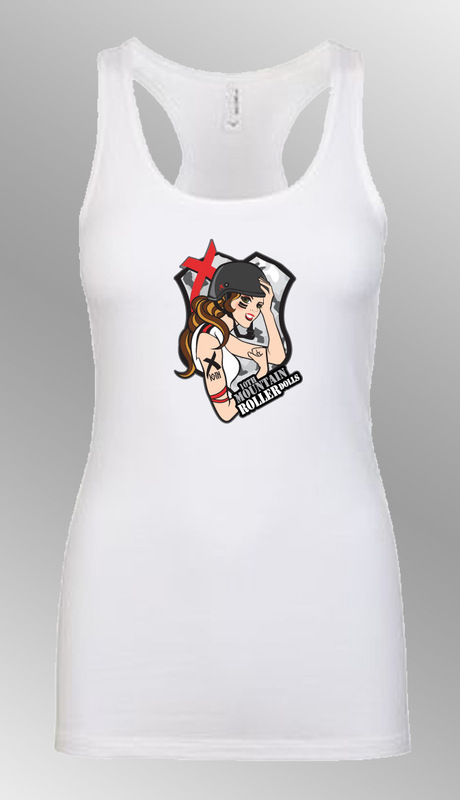 If you haven’t then I suggest you pop over to facebook.com/WikkoSkates and see what all the fuss is about. These boots are fresh, handcrafted, exciting and without a doubt the most comfortable skate boot you will ever wear. I first fell in love with Wikko after a visit to Helsinki and seeing a pair of unusual yet fascinating boots upon the feet of a referee. I’d never seen anything like them before. I was so transfixed by the colour combination, boot cut and design that I knew I had to have some. 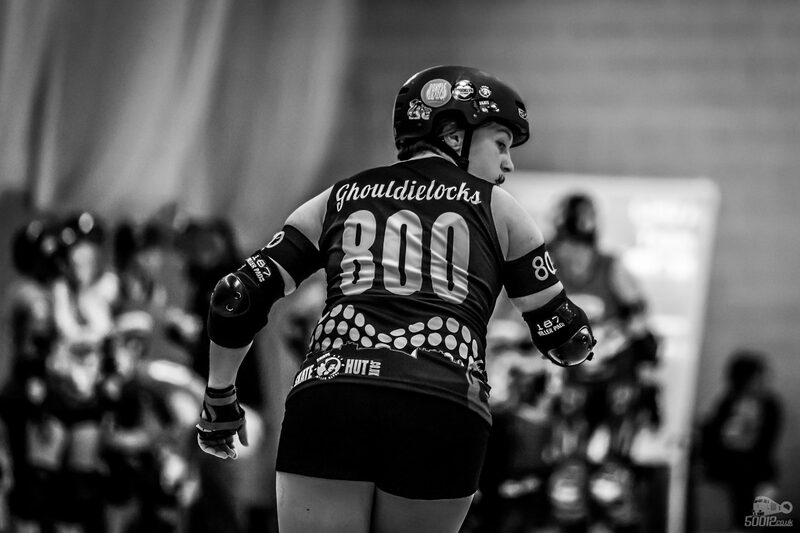 That referee was Indy of Helsinki Roller Derby, worker and designer for Wikko Skates. A returning visit the following year saw me arrange a fitting at the Wikko stall at 2013's Suomi cup (Finnish nationals). If I’m honest, I wasn’t sure what to expect. Having tried more derby traditional boots on I’d struggled for months to find a good fit for my very small but very wide feet which would also accommodate my cumbersome ankle brace. My old Vanilla curves had served me well through 4 years of heavy skating and aside from the wear and tear I was a bit nervous about trying something new and unfamiliar. On first impressions, trying not to be too distracted by the bright array of colours, different leathers and shiny finishes, the boot was incredibly comfortable. The natural untreated leather boot had a rigidity to it that provided enough support but allows enough flexibility where you need it around the ankle without being too baggy. The width was ample for what I needed and I was reliably informed that all measurements for any boot could be changed to fit my feet. Although Wikko do work from standard sizes more in-depth adjustments can be made on request. Unlike other larger manufacturers who sometimes are tied to certain widths Wikkos ability to truly customise the size of the boot to fit their customers, in my opinion, puts them ahead of the rest. After settling on my size I sent in a series of sketches and images/colour schemes along with my measurements and we began the design process. I had a few solid(ish) ideas of what would I would like but had no idea of how to combine them into a finished product. I gave Indy free reign with the all the sketches and colour schemes and what he came up with blew me away. This design encapsulated my league colours, a bold statement plus a little bit of my personality within the boot. Indy was in contact with me every step of the way making sure I was happy with the composition, image placement, colour combination and made tweaks where I requested. It felt like we were building the boots together as a team. Performance wise I’ve found the boots to be a perfect match for what I need as a skater. There is a fantastic balance between comfort and support with the boot. They boast an extra padded non slip tongue, supported insteps, comfortable insoles, a solid toe box and extra eyelets at the ankle for security in motion. As with any skate boot they took a couple of sessions to get used to but once I had they let me forget about the familiar aches and pains, tight spots, loose leather and slipping tongues and let me focus on playing roller derby at my best. 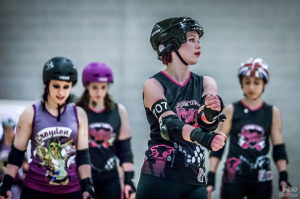 I caught up with one of Wikko’s main designers and Helsinki Roller Derby referee Indy to ask a few questions about the company and the origins of Wikko Skates. G: How did Wikko come to be? G:What inspired you guys to do what you do? Indy: Well I love to do craftsmanship, and Mikko has a passion for making shoes. Unfortunately that's not a huge thing in Finland, to order custom measured basic shoes, so this was like a dream come true for both of us. The biggest influence was the skaters. Non-fitting boots and teary eyed grins on their faces after scrimmages because their feet were hurting made us want to help even more. If you have a chance of making their life a bit easier, why wouldn't you? What's in store for Wikko in the future? Indy: The future, hmmmm. Tell you the truth, we don't really think about the future pretty much at all, except when it comes to making our boot the best we can. Trying to live in the now is more fun :) But if anything, maybe we will someday get the vegan boot out. And my project of making quad ice skates haha. What's been your favourite project so far? Indy: Rogue Runner's (London Rollergirls) boots, two boots that don't match at all. And she gave me free hands(ish) on them, that's always the most fun. Also we’re working on some Iron Man boots atm, really like how they are turning out. Also the Ninja Turtle ones. Too many to choose from! Love making all of them! Tell us what Wikko means to you. Indy: Wikko is something I would never ever have expected to happen, but when it happened it instantly became a passion and felt like home. Making ourselves happy, and with that everyone else who buys our skates. Just being happy, that’s what it means, and is for. Like life itself, it's an adventure, enjoy the ride. I know I know, cheesy. But true. Wikko are a home grown Finnish company who pride themselves on customer service, comfort and creativity. Their passion for roller derby and boot making is second to none and shines through with every pair of skates that leave their workshop. Each pair if skates are 100% handmade and stiched. You’ll be hard pressed to find another company like them. I’ve fallen in love with my Wikkos and know they definitely won’t be my last pair.